Love Injection NYC: Interview with Bobbito Garcia. Love Injection Fanzine. Issue 41. September 2018. Print. Click here for PDF. 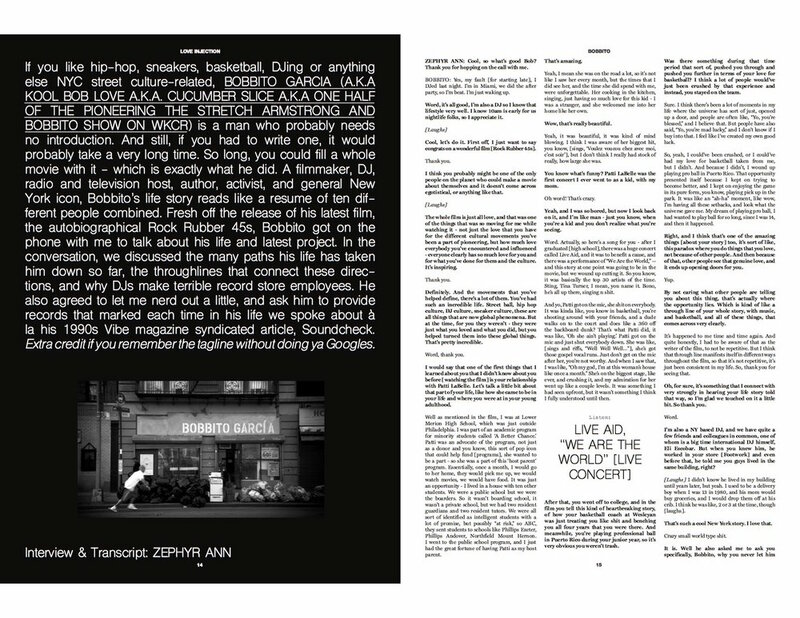 “How to Love The Culture (When The Culture Don’t Love You)," TOP RANK Magazine. Issue 1, Volume 1. 2015. Print.